There is 1 review so far. To add a review of your own for this item, visit the voting page. 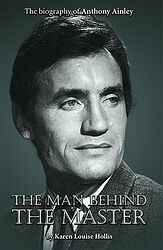 A well researched, well written book that after reading still leaves the reader with no clear idea who Anthony Ainley really was. This isn't the fault of the writer, it's just that Ainley was such an intensly private man that no one, not even those who knew and worked with him, knew him really well. Nonetheless this is an interesting book about a fascinating person.